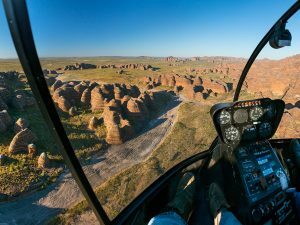 Indulge in the ultimate experience of a helicopter flight from Lake Argyle to the Bungle Bungle. 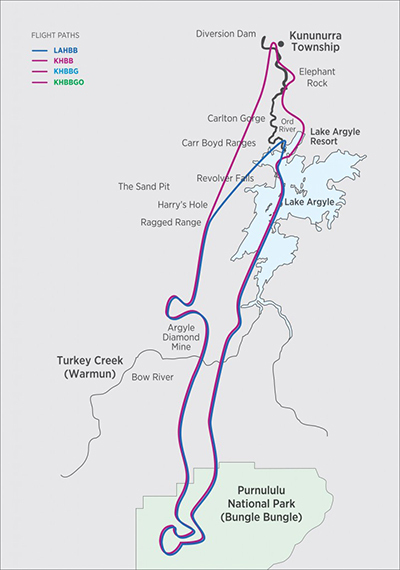 This epic 4.5 hour adventure, with 2.5 hours flight time, includes 2 remote landings, one at the Bungles airstrip and one at our secret springs. Marvel at the Argyle Diamond Mine, the full expanse of Purnululu National Park (Bungles) from the best vantage point you could imagine. Our experienced pilots will show you their secret places that no others know of. This is simply the best way to experience this stunning landscape. A delicious picnic is provided. Wear walking shoes and bring your swimming apparel. Catering includes morning, afternoon tea or lunch and a selection of alcoholic and non-alcoholic beverages.